On Saturday 23rd August 2008, Puffin Books launches the Young Bond alternate reality game, The Shadow War on www.youngbond.com. This groundbreaking game is the first alternate reality game made specifically for children around books. The launch precedes publication of the fifth book in Charlie Higson’s best-selling Young Bond series, By Royal Command, on 3rd September 2008. The Shadow War is a gripping interactive online game which will put Young Bond fans in the shoes of a British SIS agent or a Soviet OGPU spy. They will embark on a story that spans seven missions over seven weeks. 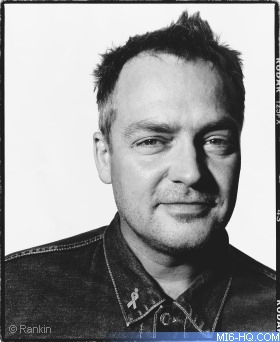 The game starts on the 23rd August, when Charlie Higson sets the first mission during his appearance at the Edinburgh International Book Festival. Players around the world will use a range of media, including the Young Bond books themselves and the worldwide web, to complete the missions and influence the outcome of the game. Written by Charlie Higson and developed by specialist creators of alternate reality games Six to Start, The Shadow War is an innovative combination of reading, story-telling and online gaming. It is designed for children aged 9 plus, but can be enjoyed by adults too, and is played free of charge. Set within the Young Bond world, the game will allow fans to explore familiar locations and see memorable characters from the series – including James Bond himself. 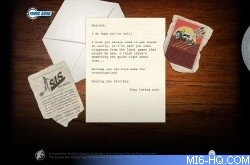 Since Monday 11th August, fans have been signing up to play the game on the Young Bond website www.youngbond.com. The game culminates on 8th October with a live event, hosted on the game site and featuring Charlie Higson, in which players will be able to ask questions and influence the end of the game. 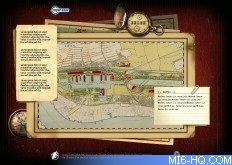 The seven missions will take the intrepid player through adventures in the world of Young Bond: from discovering who escaped the fire at SilverFin’s Hellebore Castle to tracking a ship down in the Royal Docks, uncovering a secret code in a bookshop where a gruesome murder has taken place and revealing the mysterious passenger of an airship crossing the Alps. Each mission will take up to an hour to complete and players can join and leave at any point, as well as change sides. At the end of each mission there will be a mission debrief before the next is set.